Imagine becoming the go-to digital fundraising expert on your development team. Imagine creating a new revenue stream for your nonprofit – tapping into digital donors to find new supporters, help the inevitable transition from direct mail to digital fundraising, and take advantage of digital ads to drive increased donations. For many nonprofits, digital donors give, on average, 100% more in each donation! With an average gift like that, what would happen to your nonprofit if 10-20% of your donations suddenly doubled? Hi! I’m Jeremy Reis and I want to be your digital marketing coach. The digital channel offers the best opportunity for nonprofit marketing in a generation. There is no better medium for creating an engaging relationship with your donors, attracting new supporters, and raising more funds. From email to social media, digital donor development has its own rules – with positives and negatives compared to how we’ve traditionally raised funds – but provides an excellent opportunity to develop a truly excited and engaged audience. At Nonprofitdonor.com, you receive the best digital nonprofit marketing training available. You will learn how to create and optimize a website, developing new audiences, find new supporters, write better emails, build an engaging social media presence, integrate offline and online donor audiences, build relationships with donors at a level you never could before, and more. Jeremy Reis is the Senior Director of Marketing at Food for the Hungry an international relief and development organization headquartered in Phoenix, Arizona. 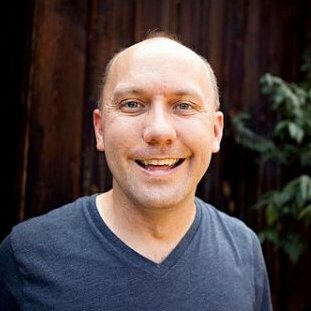 Jeremy serves on the Advisory Council for Christian Leadership Alliance, an alliance of more than 6,000 mission-focused Christians who lead in today’s high-impact Christian nonprofit ministries, churches, educational institutions, and businesses. Formerly, Jeremy worked in consulting with Fortune 500 clients and large nonprofits. He has 13 years of technology background prior to moving full-time into nonprofit work. His aim is to help all nonprofits take advantage of technology solutions to improve donor experience and fundraising. Jeremy has his B.BA. from Mt. Vernon Nazarene University and his MBA from The Ohio State University. He has been married to Jennica since 2000 and they have four girls and three boys.